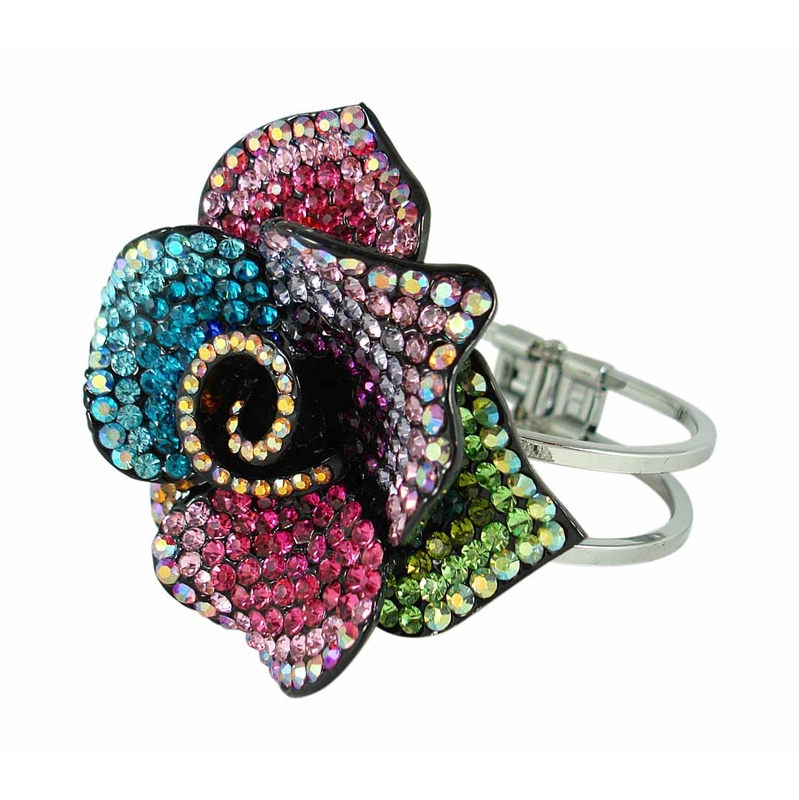 This floral rose shaped bracelet is covered in a multi-colored Swarovski crystals. This is a must have for the lady that loves extravagance and a burst of color! 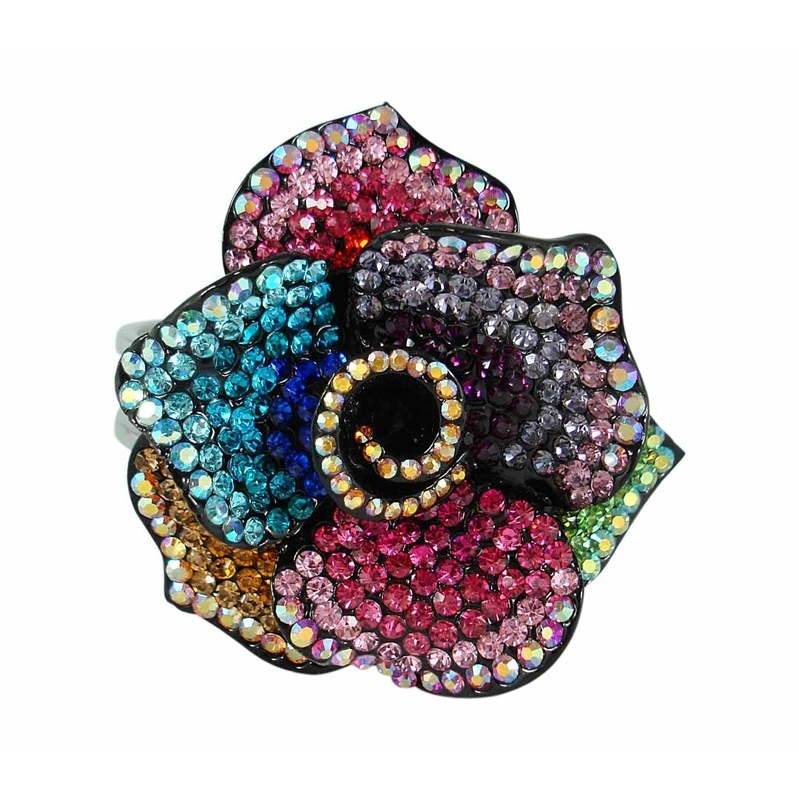 Fully covered with multi-colored Swarovski crystals. 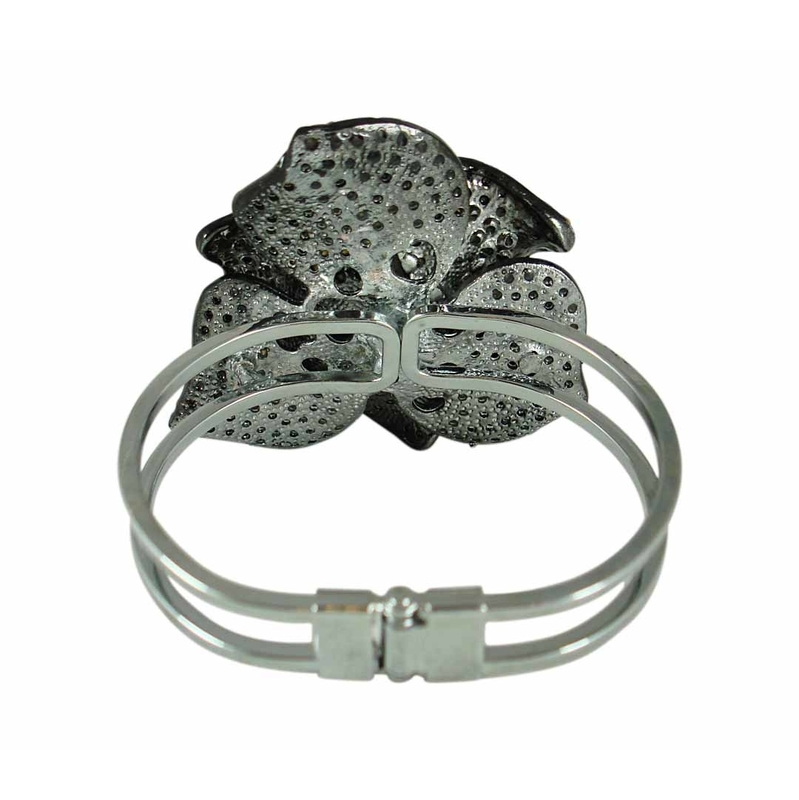 This rose bracelet also comes in black.